Elie Wiesel, Holocaust survivor and Nobel Peace Prize-winning author, at a news conference in Budapest, Hungary, in 2009. "Elie Wiesel, of blessed memory, embodied the determination of the human spirit to overcome the darkest of evils, and survive against all the odds," Israeli Prime Minister Benjamin Netanyahu said in a statement. "His life was dedicated to the fight against all hatred, and for the sake of man as created in the image of God — he was a guide for us all." Wiesel was called many things during his life: a messenger of peace, a humanitarian, a survivor. He liked to call himself simply a witness. And as a witness, he said, it was his duty to never let those who suffered be forgotten. "To forget the victims means to kill them a second time," he told NPR. "So I couldn't prevent the first death. I surely must be capable of saving them from a second death." When he was just 15, his family was taken from a small town in Romania to Auschwitz and later to Buchenwald. His younger sister and mother were sent immediately to the gas chambers. Wiesel's father died shortly before the camp was liberated by U.S. soldiers in 1945. "Never shall I forget that night that first night in camp that turned my life into one long night. Never shall I forget the small faces of the children whose bodies I saw transformed into smoke under a silent sky. Never shall I forget those flames that consumed my faith forever," he read from his book during a trip back to Auschwitz with Oprah Winfrey in 2006. "Those moments that murdered my god and my soul and turned my dreams to ashes. Never." 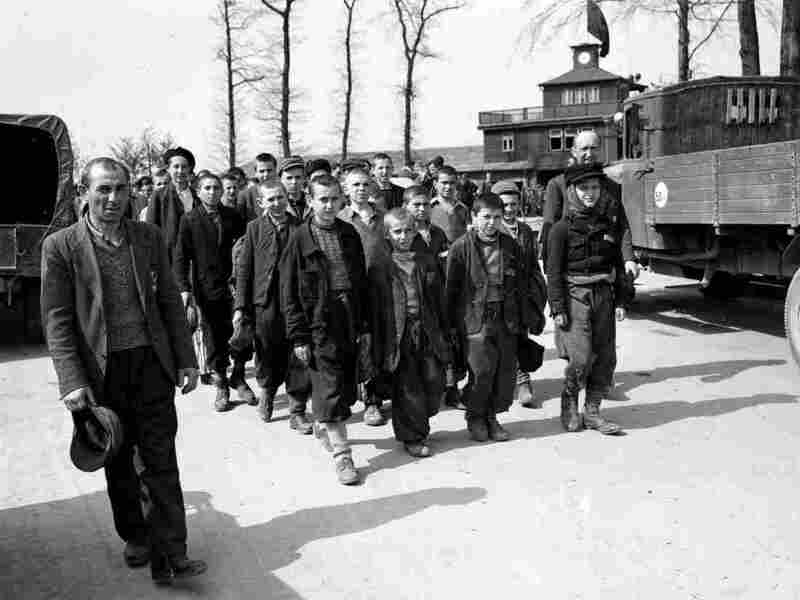 Children and other prisoners liberated by the U.S. Army march from Buchenwald concentration camp in April 1945. Wiesel lived in France immediately after the war and worked as a journalist before immigrating to the U.S. in 1956. He became a citizen seven years later and in 1985 he received one of the highest honors awarded a civilian, the Congressional Gold Medal of Achievement. The soft-spoken Wiesel took advantage of the highly public occasion by making an impassioned plea to then-President Reagan not to visit a cemetery where SS soldiers were buried. A year later Wiesel received the Nobel Peace Prize. The Norwegian committee called Wiesel a messenger to mankind. A man, who it said, climbed from utter humiliation to become one of our most important spiritual leaders and guides. In his acceptance speech, Wiesel said the world should never remain silent while humans suffer, because neutrality, he said, only aids the oppressor, never the victim. "Silence encourages the tormentor, never the tormented," he said. "Sometimes we must interfere. When human lives are endangered, when human dignity is in jeopardy, national borders and sensitivities become irrelevant." Despite all the accolades and honors, Wiesel said he was happiest in his role as a teacher. He taught at several U.S. institutions, including New York's City University and Boston University. 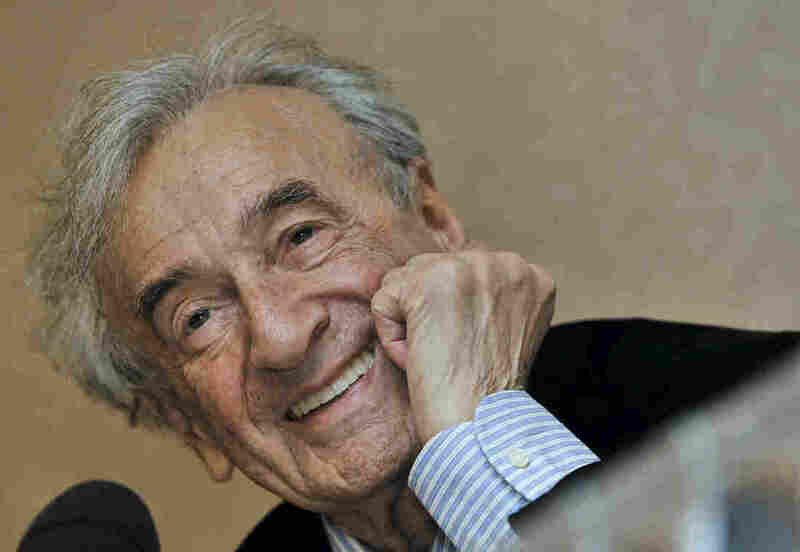 At an annual visit to the Chapman College in Orange County, Calif., Wiesel sat in front of a rapt group of religious studies students in the school's small Holocaust remembrance library. Most asked him questions about Judaism and his public struggles with faith during difficult times. "I still have questions for God and I still have problems with God, absolutely," he told the students. "But it is within faith, not outside faith, and surely not opposed to faith." "Look, honors are very, very pleasant to receive, but it all depends what you do with them," he said. "If simply to use them for your own benefit then you're not worthy of it." In his later years, Wiesel refused to slow down, even after quintuple-bypass surgery and the loss of his personal and philanthropic foundation's fortune to Bernie Madoff's Ponzi scheme. In 2012, he wrote his last book, Open Heart, touching on both experiences. "But to listen to a witness is to become a witness and that consoles us," he said. In an earlier Web version of this story, we incorrectly stated that Elie Wiesel received the Congressional Medal of Honor. In fact, he received the Congressional Gold Medal of Achievement. Additionally, the audio version, as did a previous Web version, incorrectly identfies Buchenwald as a death camp. In fact, it was a concentration camp. Addendum Aug. 15: A previous caption included Elie Wiesel among the children and other prisoners pictured being liberated from Buchenwald. NPR has since determined that it is not certain Wiesel was in that group.